According to a recent news release from the Peoria County Farm Bureau, more than 100,000 visitors are expected to be in attendance at the Half Century of Progress Show in Rantoul, Illinois, August 22-25 to view farm equipment of the past and present exhibitions and much more. However, not all the equipment on display at the show will be mechanical in nature, as a horse pull will be held on the first night, where teams from three or four states will be competing to see how far their horses can pull a sled. 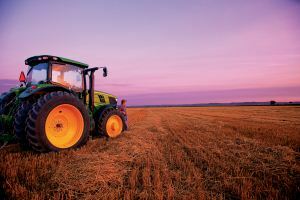 Other attractions at this year’s show include live music, hand corn-husking demonstrations, hot air tethered balloon rides, and a raffle where one winner will receive a John Deere 5020. The show’s attendance numbers have steadily grown since its inception in 2003, and this year’s show is expected to draw more than 100,000 visitors as farm equipment of the past and present will be on display, according to the Peoria County Farm Bureau and Rantoul Press.